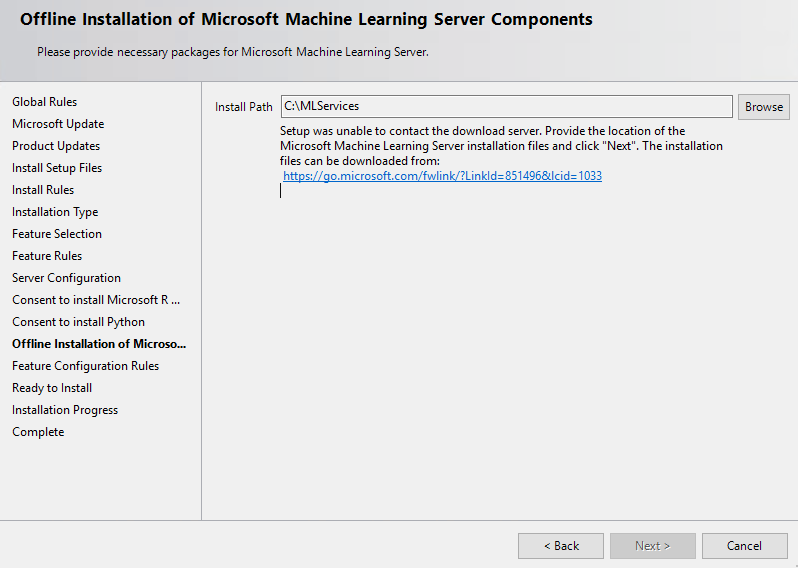 You’re trying to install SQL Server 2017 Machine Learning Services onto an existing SQL Server 2017 installation. You select the checkboxes for R en Python because that’s how you roll. And off you go to the next screens! That’s when you remember it… Your server isn’t connected to the internet! Pretty normal, but in your enthusiasm you completely forgot that SQL Server needs to download some binaries for the R and Python components you so desperately want on your precious machine! Luckily, the installer comes to your rescue and shows you where to download those binaries it needs. Turns out however… This link only is for one R component and the installer won’t let you pass to the next screen! Microsoft has a complete list of all possible components you could ever want to install while offline. 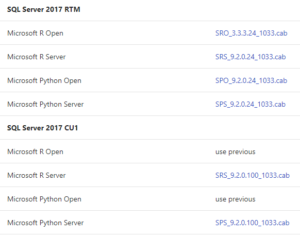 From SQL Server 2016 RTM, over to SQL Server 2017 CTP 1 and up to SQL Server 2017 CU 1. Hopefully, next time you’re installing ML Services, this will save you some time searching for why that “Next” button won’t become active. I’m attending and presenting at… ALL THE EVENTS! This year I’ve already presented at more events than I dreamt off at the start of the year (5). This is going to be a long read, a punishment from me to me because I slacked off in blogging in the past months. So apart from being bored, there’s 2 reasons why you would want to read this post. 1) Interest in, but some fear of, attending and presenting at conferences, user group and community events in general. 2) You’re me from the future and you’re wondering about that amazement and the exciting feeling the young Jan had about these first events. You’re wondering about what fears you overcame and you want to look back at how it all started. in short: 5 more events to find me at before the end of june! So whichever reason you have, come on in and start reading! Read moreI’m attending and presenting at… ALL THE EVENTS! Last saturday Back in January, I presented my first webinar for the Global Power BI usergroup. It was a redelivery of the Personal BI to Personal Data Science session I’ve already given twice together with my colleague Kimberly Hermans (twitter). Although there was no real negative feedback and even some positive feedback in private, I don’t think I did great. I approached the webinar the same way as I do a regular presentation. There’s all kinds of different and extra things to take into account compared to an in-person conference or usergroup presentation. We used Google+ Hangouts and while I tried it out before the webinar, I didn’t prepare how I would be taking questions. That could’ve gone a lot better. The microphone I used was the one that came with my phone. The quality wasn’t the best, especially combined with the room I was in. Using a cheap microphone tends to be OK. But in the wrong room you’ll get a lot of echo or environment noise. This one struck me the worst. I couldn’t interact with or read the audience which made me unusually nervous. On top of that, because of conflicting schedules I had to present alone this time. I thought I would be OK as I knew most of the data science stuff on a basic level. But it also means that all the interaction and the dynamic that previously existed in the presentation was gone. No jokes, no natural tempo changes, no interaction between presenters. In my opinion this was the main killer of the webinar. The Virtual Global Power BI User Group is still organising monthly webinars. You can join or present yourself as well. Or just participate in the usergroup via different channels like Twitter, Facebook, LinkedIn and our YouTube channel. I’m embarking on a new webinar journey as well. More news will follow soon. Today I’ll be guiding you through the, sometimes very busy, world of Microsoft training material. We’ll put the focus on the training material for data science. Expect everything you need to become fluent with Microsoft’s Data science solutions. Read on for the good stuff! Let’s be honest, Microsoft isn’t a name that would traditionally be associated with data science. But just as we’ve witnessed in other areas, they have quickly caught up! Looking at it like this, it’s just a list like any other. Not even a big list. The magic happens when we look at what this means for the developers, consultants and ultimately the business. 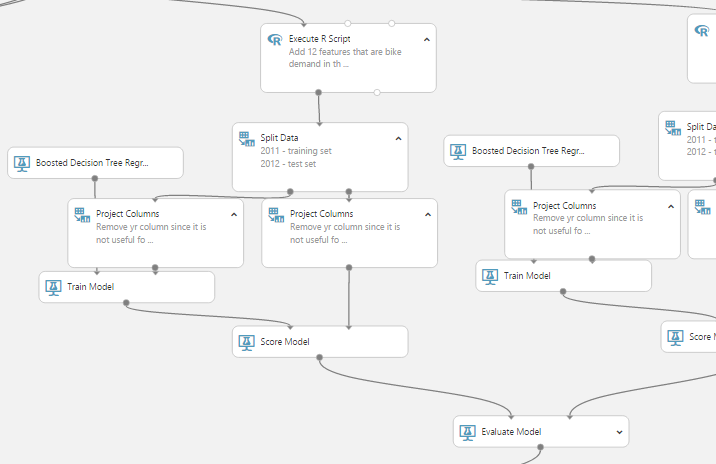 We now have the ability to create AND deploy predictive models in minutes using Azure Machine Learning. 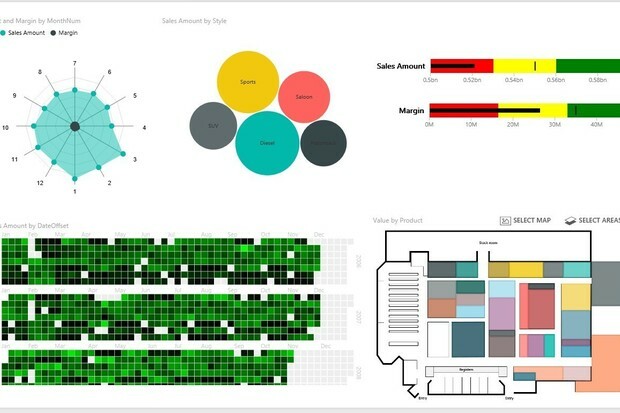 If you still need an introduction to Power BI then you’re doing something wrong. Contact me on twitter, LinkedIn or via the comments. I’ll gladly talk you through Power BI and why you should be using it for almost everything you do with data in your company. But on a more serious note, I’m going to be crude to Microsoft here. A long time ago, Power BI started as an over-hyped and underwhelming experience. Everyone saw the potential this Excel stuff had but I’m guessing the experience most people had was similar to mine. That is, Power BI back then was a disappointment because of what we were expecting. The one good thing it did have at one point was PowerPivot. Skip forward to august 2015. The Power BI dream had suddenly come true! Most of the things we were expecting in the past suddenly were there, in a web service AND a desktop application. Skip forward 3 more months and Power BI has exceeded our wildest dreams. I could literally fill books with all the great stuff the Power BI team has done and enabled for the community. The Power BI API, a plugin for PowerPoint, custom visualizations, support on all devices, enterprise ready and a lot more all combined with a CRAZY pace of new releases! If I had to summarize Cortana Analytics for anyone, I’d say it is basically Azure Machine Learning for predictive analytics combined with Power BI for a beautiful presentation of your data. And sprinkled on top are some of the most incredible and integrated services you can dream of. Cortana Analytics is not really a product, it’s more a combination of several services that work really great together and form a solution to your questions. It enables different scenario’s for any case you can think of. Whether you have a scenario with real-time data analytics, (real-time) predictive analytics or you’re just in need of a data lake to fill with your data for analysis, Cortana Analytics is where you need to be. 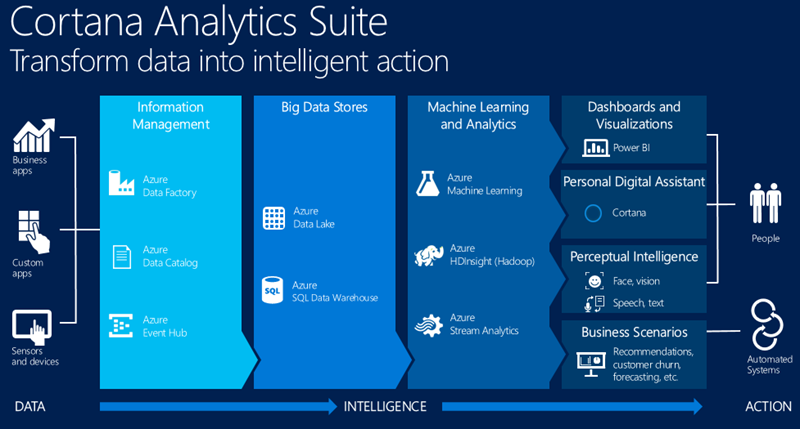 This picture from Microsoft summarizes the Cortana Analytics Suite the best. It shows you how different tools fit different purposes in the chain from data to insight to action. Not much to say except: WOW! I bet I’m not the only one who did not see both of these coming. 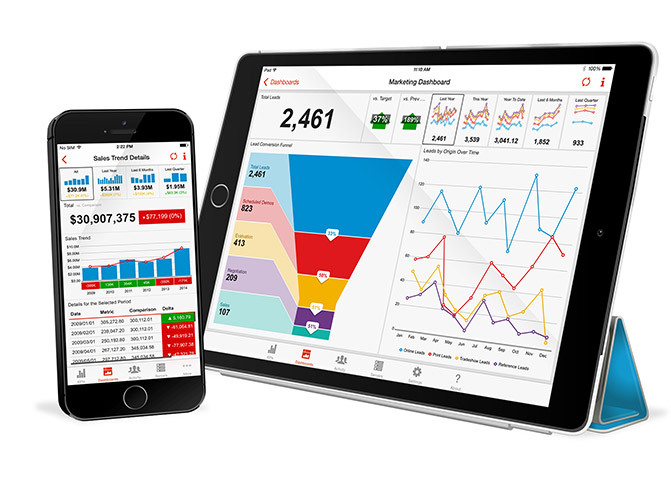 Datazen was already known for it’s mobile dashboarding solutions. It’s acquisition could only mean something big was coming for on-premises BI. And it did, Microsoft announced at PASS Summit 2015 that Datazen would basically be integrated with SSRS to provide an outstanding mobile BI solution for those who must stay on-premises. Revolution Analytics was widely known in the world of the R programming language. Where R standard is limited to a single machine and the memory that machine has, Revolution Analytics provided a scalable solution. How cool is that? So cool that Microsoft wanted it integrated in SQL Server 2016! 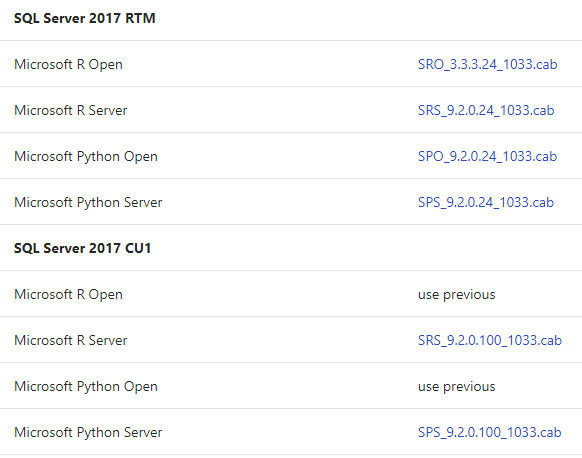 I’m sure that the R services in SQL Server 2016 are just a starting point. But imagine the possibilities from a data science perspective when you combine this with the columnstore and in-memory technologies. 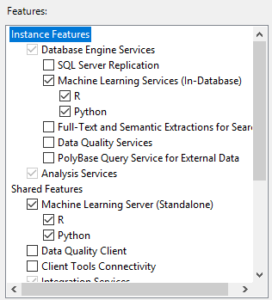 This isn’t just R in SQL Server, it’s an implementation of Revolution R Enterprise in SQL Server! No longer do you have to pull data to your developer machine, data can just stay in the database where it should be. Combine this with columnstore indexes and the in-memory technology and you know that the data scientists are now drooling. Microsoft has improved so much in the last year, it’s as if it’s a whole new company. Data professionals are getting a lot of shiny new toys and can expect a lot more solutions to be build end to end on a Microsoft platform. Whether that platform is on-premises or in the cloud is up to the business to decide. Data science is no longer unknown territory for people who work with SQL Server, it’s already on our doorstep. On top of that, Microsoft’s Cortana Analytics solution offers incredible value and an ease of use I’ve never seen before with something like this. It took me only an hour to set up a solution that parsed real-time sensor data, combined it with reference data in a database and then show it on a Power BI dashboard. One thing is sure, you can expect some interesting blog posts in the feature. Not only from myself but the entire SQL Server community! When you’re ready, move on to this list of training materials I compiled for you. Let’s get started!